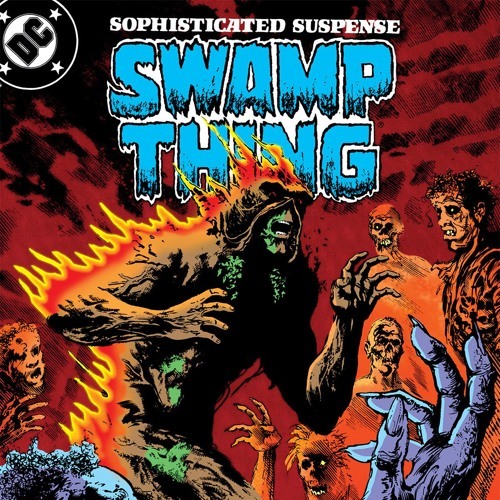 On this episode, the gang talks about a big swampy monster thing. His name is Swamp Thing. Would a swamp thing by any other name still dank so deep? In this episode, we continue our October Spooktacular, but really just continue our trend of being a bunch of SJWs who talk about femininity (well, moreso menstruation and werewolves) and racism (well, moreso zombies of Louisiana slaves). You know, our usual shtick. Ryan gets to spout lore and ushers in the British Explosion. Phil’s extra disposable this week, especially if you ask Sly. Sly can’t decide between a sandwich and a hoagie. And Darryl asks “what are you trying to tell me about race? Huh?” And does Sly secretly hate Phil? No, it’s not a secret.